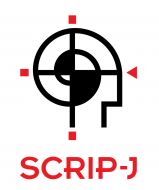 SCRIP-J is a passionate team of printing experts. We work round the clock to provide our exacting clients with products that aren’t just a source of success – they’re a source of pride. Integrity: We believe integrity manifests reliability, builds trust and confidence, and sustains mutually-beneficial, long-term relationships. Service Excellence: We believe excellent service clearly differentiates us and earns us repeat business. Teamwork: We believe that we accomplish more, better and faster working together as a team. Employee Development & Welfare: We believe happy employees lead to happy customers, so we provide a structure that supports the development of their capabilities and the enhancement of their well being. Professionalism: We believe that our work ethics, discipline and comportment provide the critical foundation that ensures consistent quality in everything that we do and establishes us as leaders.